Welcome to Hope, a newly created adoption and trade agency. Hope has one major mission. Help neopets find new homes. This new adoption agency was created May 26th, 2012. Hope not only has neopets for adoption or trade, but also many extras that can help you if you are looking to adopt a pet. Hope has some wonderful staff to help complete lab zaps and add some pets from the pound up for adoption. Hope can use any help, so if you would like to be a part of Hope send in a neomail! If you are interested in adopting or trading a pet, just make sure to read the rules and contact the owner listed. If you want to list your pets, read the rules and send in the form. Thanks for visiting Hope Adoption Agency! + Now listed at Pixie Dust. + Another neopet is now up for adoption! + Sniquers the Island Eyrie is up for adoption! + I adopted Hexgold the Halloween Kacheek from the pound. He is up for adoption to a forever loving home. + Halloween PB clothing is needed for Hexgold. If anyone has Halloween Kacheek PB clothing they don't need, please let me know, Thanks! + Mitoebi has been rezapped by may, he is now back up for adoption as a robot ogrin! + 2 neopets have been adopted. + Thanks to The Lunch Box for an icon you can add to your pets lookup! + 1 dream added to the dream box! +1 neopet added for adoption. 1 neopet adopted. + The guide is now up. You can find it here. Feel free to join if you want to be a part of Hope! + Thinking about creating a guild for Hope! Creating a guild might be able to help add more staff and more neopets up for adoption! + 1 new link back button! + 1 neopet added for adoption. + 1 neopet removed from adoption. + Sorry for the lack of updates! Hope has added a few more wonderful neopets up for adoption seeking forever homes! + We have added our first dream pet to Hope's dream box! Keep sending in forms for Hope's Dream Box! +Thank you to Lexy for making Hope's awesome new layout! + New layout! Thought it was time for a new layout. Let me know what you think! + Thanks to Lexy, we have a great new Lab Log! + Some things are going to be changed around the site. + Please make sure to include all the information needed for your neopet. + Do not list a neopet that is not yours. + Please neomail me if your neopet has been successfully adopted or no longer up for adoption so I can remove them from the list. You can find some graphics HERE to add to your pets lookup! + Your account must be 4 months old. + Please do not neomail me to adopt any neopet unless stated otherwise. Neomail the owner or if required to make a petpage please do so. + Follow all rules that the neopets owner has made. + No whining or begging for a neopet. + Please contact neopets owner if you have any questions regarding adoption or trade. Pets are listed in alphabetical order according to neopet species. If interested in adopting please contact the name under each neopet. These are all the neopets that have found their new homes! Hover over the images to see when they got adopted, click on each neopet to visit them at their new home. Welcome to the Dream Box! Here you will find many dream pets that people have listed. If you list your dream pet here, with the help of staff your dream pet may be achieved. Hope is a fairly new adoption agency, therefor we only have a few staff members, but you can still list your dream pet! If your dream pet is zapped or added for adoption here, we will contact you! Like many adoption agency, staff help add more neopets up for adoption. They can help attain people dream pets. By being staff of Hope Adoption Agencies, you can zap multiple pets and add them for trade or adoption. Many of the staff members help zap pets for the Dream Box, to help obtain peoples dream pets! If you would like to become a staff member, please consider adopting pets from the pound instead of creating new neopets. No staff member at the moment. No staff at the moment. 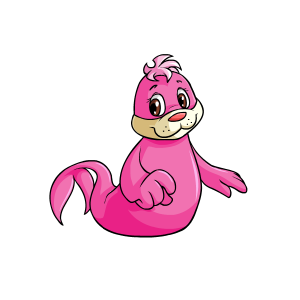 See all the neopets that are currently being zapped at Hope's Lab Log! If you are interested in adopting a lab pet, please make sure to read the rules here. + Helpful Links - Links that can help in creating an application. + Featured Pet - See this weeks featured pet. + Words of Wisdom - Add some words of wisdom on adopting neopets. + Graphics - Banners, Icons, ect. Welcome to the graphics page! Here are just some graphics that have been requested, they are rightfully linked to the people who created them. They are just here for you to use! Welcome to the featured pet extra. Here will be a neopet that has been chosen to have a moment in the spot light. This is just an extra spot where a neopet will have an extra chance on being adopted. Welcome to Hopes words of Wisdom extra. Here you can find helpful tips from neopians on adopting a neopet or just ask a question you have about adopting. You may find some words of wisdom that will help you in adopting a new neopet! If you would like to submit your words of wisdom, please just send in the form below. Words of Wisdom will go here! As many may know, applying to adopt a neopet can be pretty difficult, between creating a petpage or even multiple pages for a neomail application. So here are some helpful links listed to help you easily create a application! If creating your own petpage application, here are some helpful links that will help. Visit Words of Wisdom (Coming soon) to get some tips from neopians on how to create an application!